When it comes to choosing the right eLearning course type for your workforce's needs, it's horses for courses. The ever-growing digital trend and rising proficiency of online training technology has seen eLearning picked up by organisations big and small as an effective means of training workforces. However, despite the countless benefits this method of training has to offer you, your staff, and your bottom line (see here, here, and here), there are still a number of factors to be considered to ensure that your eLearning solution achieves your learning outcomes. In fact, choosing the right kind of eLearning course for your workforce’s learning needs could be the crucial difference between a great investment and a rookie error. Just as there are numbers of different learning types within any workforce, there are also a number of different eLearning course types to meet said requirements – from the chatroom-esque to full-blown virtual workplaces. These course types can usually be divided into three main categories: Synchronous, Asynchronous, and Blended. The closest to a traditional classroom setting of the three, Synchronous learning can be loosely defined as real-time learning – that is, learners and teachers must be interacting at the same time from different locations. While the prevalence of digital technologies has made the world of Synchronous learning the oyster of eLearning developers, this course type most often takes the form of video conferences, webinars, application sharing, virtual classrooms, or messenger functions wherein learners can share ideas, suggestions, or questions and receive responses or solutions immediately. A live webinar is just one example of the many forms of Synchronous learning. Here’s a recorded version of one we whipped up earlier. A favourite of the self-serve checkout lovers among us, Asynchronous learning requires that the communication between teacher and learner doesn’t happen immediately – think pause-and-resume learning. This could take the form of anything from an entirely self-managed course to even trading emails with an instructor. Encompassing learning tools such as self-paced SCORM courses, emails, discussion forums, blogs, webcasting, simulations, and game-based learning, this course type allows learners to participate at any time without affecting their other commitments. VMP eLearning recently created an Asynchronous eLearning solution for Nintiringanyi Cultural Training Centre. Having taken Hannah Montana’s advice to enjoy the best of both worlds to heart, this course type borrows elements from both Synchronous and Asynchronous learning to present a well-rounded educational experience. Blended learning allows learners to progress at their own pace, drawing information from Asynchronous modules, while providing real-time support from a Synchronous instructor. There is little need to choose between Synchronous and Asynchronous when Blended learning allows you to porque no los dos it. This kind of learning can take many forms, and often includes blends of workshops, instructional exercises, messaging, discussion sheets, quizzes, tests, and declarations. Sometimes, the engaging, entertaining, and highly interactive new eLearning course that you’ve implemented won’t lead to the outcomes you’re aiming for. Why? Well, a common mistake in eLearning design and development is that courses are created to deliver the required content, but not to meet your learner’s needs. For the socially-inclined learners among us, a Synchronous eLearning solution offers instant feedback that improves the formation and connection of learner and information. Even more notably, this personal approach to learning offers the highest level of inclusion of learners. However, this traditionally-inclined course type simply doesn’t offer the time-independent option for self-management or logistics of planning that Asynchronous or Blended learning do. On the other hand, Asynchronous eLearning solutions offer convenience, flexibility, and the option for self-management desired by learners and teachers alike in a huge way. Without the option for ongoing connection and support with either party, however, the inexperienced eLearners among us may find themselves feeling isolated, confused, and less likely to continue with the course. No matter how many bells and/or whistles your eLearning course includes, there will never be a ‘one size fits all’ solution to training your workforce. Identifying the learning needs (and therefore most relevant course types for your business) within your workforce before embarking upon the eLearning development process will save you – and your staff members – a world of trouble. 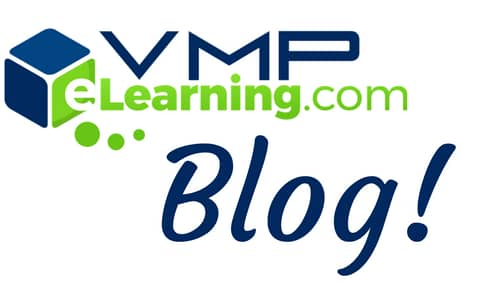 VMP eLearning’s Training Needs Analysis, designed by Dr Ruth Schwarzenbock (PhD Science of Education), is a systematic means of identifying risks, strengths, learning types, and gaps in the skills of your workforce. With these aspects in mind, you can move forward with your eLearning development knowing where to allocate your training budget – the areas of your company that need improvement the most. To get the best out of your people, an appropriate training strategy is absolutely crucial.